Keith Gow, Writer: Who Are You Supposed To Be? A rom-com for geeks everywhere, this is the classic tale of a boy in a TARDIS t-shirt standing in front of a girl dressed as the Fifth Doctor, asking her to love him... and a girl demanding to know why she can’t be the Doctor or Han Solo or Captain Reynolds. They’d be star-crossed lovers (Wars and Trek, obviously) but they have so much in common - surely they can find the time and space to fall in love? This is our love letter to being a fan of movies and television, a fan of science fiction and fantasy, a fan of being who you are and sometimes pretending you’re somebody else just for the hell of it. 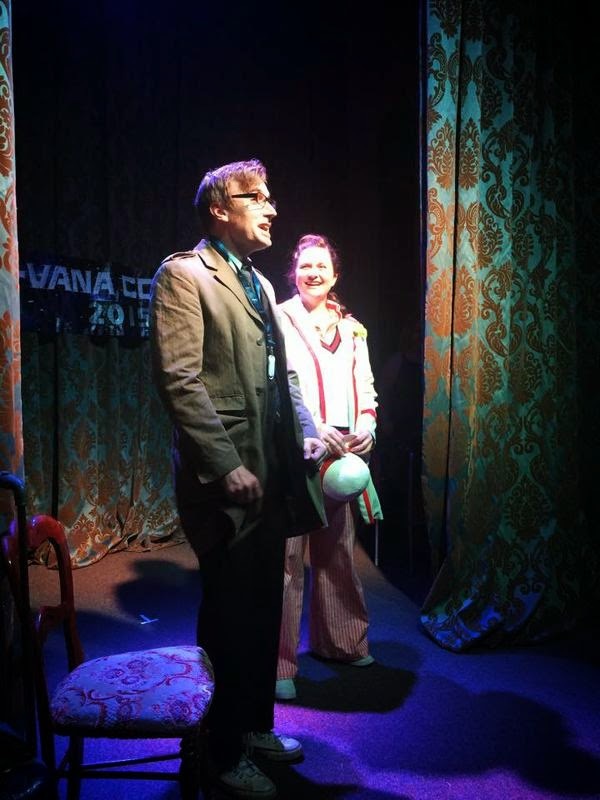 The show was developed by Keith Gow & Jennifer Lusk for the Edinburgh Fringe Festival 2013. For that first season, it starred Lusk as Ash and Cameron K McEwan as Gene. McEwan and director Emrys Matthews were invaluable in their contributions during the development of the script. To celebrate the 50th Anniversary of Doctor Who, the play had a short sell-out season in London at the Etcetera Theatre. 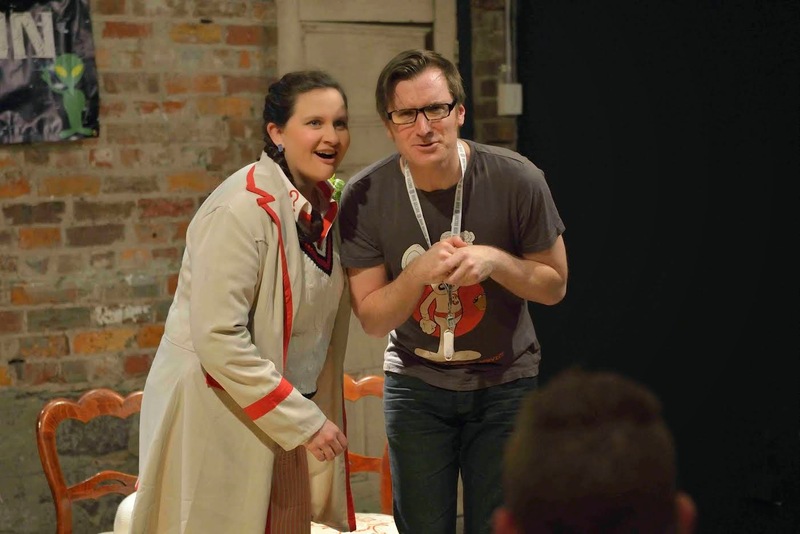 On Lusk's return to Australia, Gow & Lusk collaborated on a new version of the show with actor/comedian/Time Lord Rob Lloyd - which premiered to enthusiastic audiences and great reviews in Melbourne in 2014. 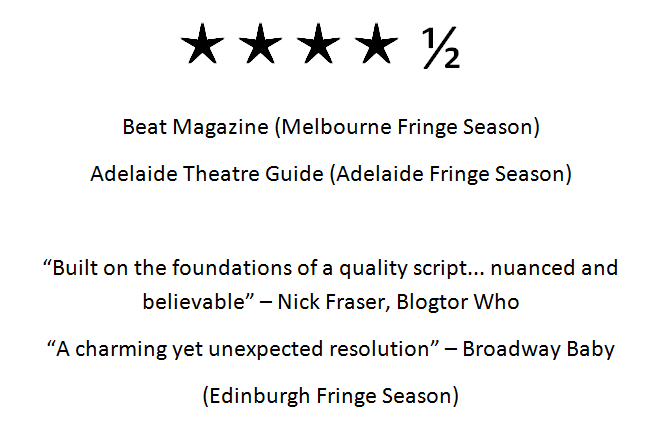 "Some serious social dialogue underpinning the repartee" - Melbourne. Arts. Fashion. Who Are You Supposed to Be traveled to Lusk's hometown for the Adelaide Fringe Festival in March 2015. I met Jen ten years ago this July at an advance screening of Serenity - our meeting is referenced in the show. 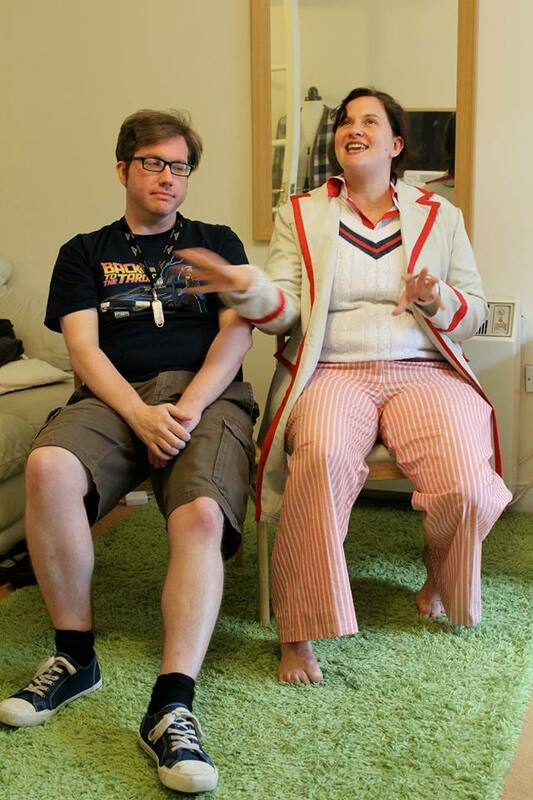 We figured that a show about nerds should have some metafictional humour in it. I am so thrilled with all we've achieved with this show. It's a comedy, it's romantic but it's not exactly a romantic comedy. And I'm really proud of the discussions the show has started along the way. Four seasons of the show down and, in a way, it continues to evolve. Just as these characters have their geeky passions, so do I and my actors. We can't help throwing in up-to-the-minute references. During Adelaide we got to joke about Harrison Ford's terrible track record as a pilot, as well as tributes to the passing of Leonard Nimoy and Terry Pratchett. I think we've achieved everything we set out to achieve with this show - so hopefully this is not the last we see of Ash & Gene. Because just like any passionate people, I feel like their arguments could go on forever. At least, until the BBC hires a female Doctor Who. In late 2015, Who Are You Supposed to Be was invited to be the opening night play at the Write Around the Murray Writers' Festival in Albury. Lusk & Lloyd performed in front of a packed crowd, most of whom arrived in cosplay. 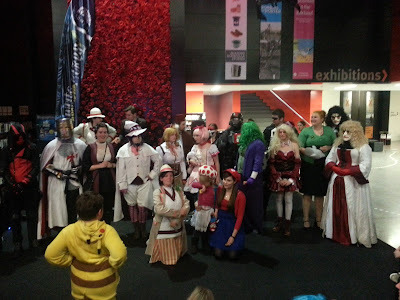 After the show, they judged the cosplay contest. A geek night was had by all.